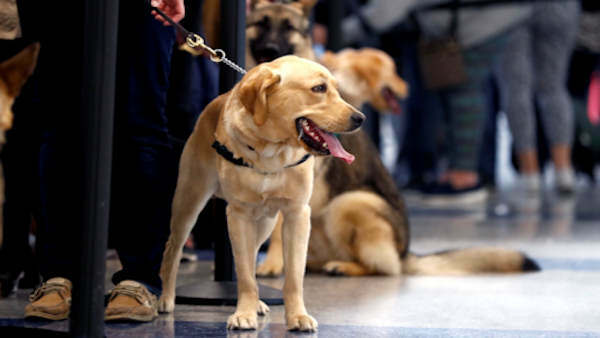 NEWARK, New Jersey -- Dozens of puppies took over part of Newark Liberty International Airport on Saturday, part of their training to one day become guide dogs for the blind. 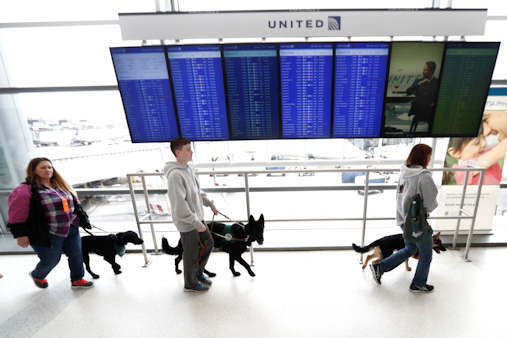 The Labradors, German Shepherds and retrievers walked around the terminal, rode escalators and even boarded a United Airlines plane. Trainers say the airport is one of the more complicated places a guide dog can be required to go. Once the dogs complete their training they will live with a foster family for about two years before being put into service.